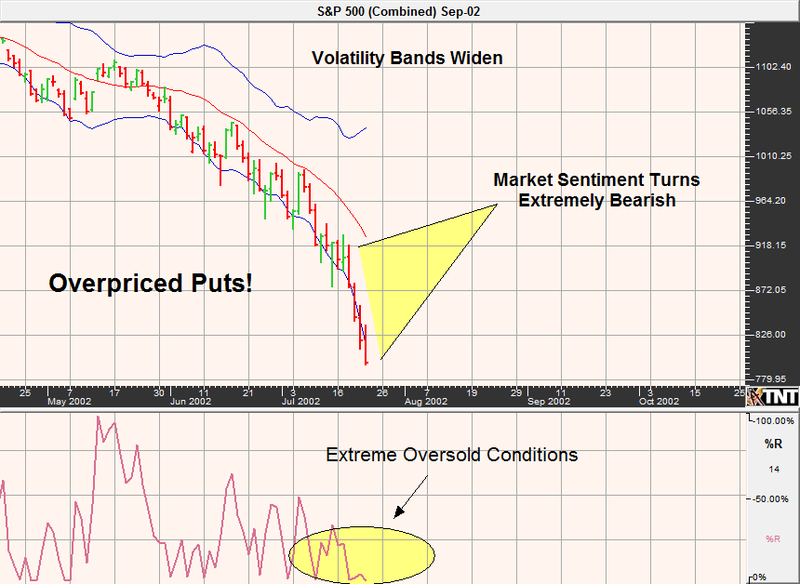 Trading futures and options on futures involves a substantial amount of risk. Accordingly, Carley Garner and DeCarley Trading, have allocated substantial resources to help people to learn to trade futures. After all, an educated brokerage client is a better client. Years of commodity market experience as futures brokers has contributed to the cause; we hope you enjoy these articles focused on trading in futures, option trading, and commodity market analysis. Carley Garner, and DeCarley Trading, have compiled a vast resource of educational material aimed at helping people learn to trade in the commodity markets. Whether you intend to trade futures, futures spreads, options, option spreads, or you haven't determined a commodity market strategy, we believe you will find useful and applicable information here. In addition to the dozens of futures and options trading articles listed below, we offer visual learners free access to our commodity trading video archive. Visit DeCarleyTrading.com for details. Pending home sales were a bullish surprise this morning. According to stats, homes under contract for sale were up 1.4% in March. However, it was the crude oil inventory report that garnered the largest reaction...at least until traders remember it was an FOMC day, and stock prices reverted right back to where they started. The S&P fell markedly following a $1.00 drop in crude oil futures at the hands of the latest weekly inventory report, but both oil and the S&P recovered later in the day. Naturally, the story of the day was the Fed. The Fed didn't change interest rate policy, as was widely expected. They also basically copy and pasted their policy statement from the last meeting. In short, today's FOMC meeting was a non-event. Today marked the end of this week's economic calendar, which leaves tomorrow's fate nearly entirely at the hands of tonight's Asian trading session. If we could put blinders on to block out Chinese volatility, we'd probably feel relatively upbeat about the prospects of the e-mini S&P futures from here. Unfortunately, China matters....**a lot! ** The markets know this. With that said, we still expect the Chinese government to come to the rescue (again). Eventually, they'll find a way to get the job done for now (can kicking). In futures and options trading, timing is everything. I constantly remind my clients and prospects that there is a big difference between being right in the direction of a commodity market and actually making money. I have witnessed traders be absolutely correct in their speculation of futures price movement, but miss getting into the trade due to unfilled limit orders, or entering the commodity position too early (which can cause the trader to run out of money or patience before the price move occurs). Attempts at commodity price prediction can be based on technical oscillators, psychological barometers, supply and demand, or anything else that provides clues to price direction and timing. I am a firm believer that there aren't right or wrong trading tools but there are right and wrong ways to use them. Simply put, trading indicators can be compared to guns; guns don't kill people, people kill people. In trading, oscillators or charting tools don't siphon trading accounts; unfortunately traders sometimes do it to themselves by acting too aggressively to trading signals, or ignoring them altogether. Further, while it isn't important which indicator you use to time a futures trade entry and exit, it is important how comfortable and confident you are in using it. This is especially true in reference to computer generated oscillators such as the MACD and Slow Stochastics. In the long run, I believe blindly taking all buy and sell signals triggered by such indicators would yield similar results. Accordingly, the primary factors playing a part in whether a trader experiences profits or losses are likely the ability to avoid panic liquidation, properly placing commodity risk management techniques in place, and exiting option trades that have gone bad before it is too late. In other words, I believe that good instincts and experience are more valuable than any technical indicator, or supply and demand graph, that you will run across. Once you have determined your speculative tool of choice and determined your conclusion on the direction, or lack of, it is time to construct a strategy that will benefit if your assessments are accurate and mitigate risk if you are wrong. This may include the use of options, futures or a combination of both. The method that you choose should be based on your risk tolerance, personality and risk capital. Commodity speculators have an unlimited number of "options" when it comes to trading vehicles. The key is to find an approach that will provide you with a manageable risk profile, while still leaving the potential for a profit that you will be satisfied with. Throughout the process, keep in mind that the relationship between risk and reward isn’t linear. Only a fine balance between the two will allow the trader the probability of a reward rather than the dream of one. Accepting reckless amounts of risk may pay off for a lucky few, but for the masses the results will be dismal. Depending on the characteristics and personality of the trader, a stock market bull might purchase an e-mini S&P futures contract, purchase an e-mini S&P 500 call option, sell an e-mini S&P 500 put option, or even use a combination of long and short options and futures contracts, to construct a trade with various risk and reward prospects. Likewise, a crude oil bear might opt for a limited risk option spread such as an iron butterfly or he be willing to accept large amounts of risk and volatility by choosing to short a futures contract outright. I couldn't possibly touch on each of the commodity market strategy possibilities in within the realm of this article but you should be aware of the opportunities available to you, and which fits your personal trading profile, before ever putting money on the line. If you are interested in exploring commodity trading strategies outside of simply buying or selling a futures contract, you might find my book “Commodity Options” helpful. It outlines several commodity option spreads and even synthetic strategies in which futures and options are combined to construct a hedged position in the futures markets. The "meat" of a proper futures trading plan is risk management. This is concerned with establishing thresholds of loss that you are capable and willing to accept in exchange for potential rewards. In the case of futures traders, this may simply mean picking a stop loss price and placing the order in conjunction with a profit target (limit order). Once again, trading plans are for guidance and shouldn't be followed blindly. Don't be the futures trader that misses taking a healthy profit while trying to squeeze out an extra $20 because the price came within ticks of a working limit order but failed to trigger. Also, even if your trading plan doesn't involve a trailing stop don't be a fool. Markets don't go up or down forever, if you have a large open profit tighten your stop loss order, or place protective options or option spreads and walk away. Creativity can be a valuable tool in futures trading. Think beyond the traditional practice of using stop loss orders to manage risk, because there are an unlimited number of possibilities. For instance, experienced futures traders might choose to incorporate selling option premium against a correctly speculated futures contract as a form of risk management. Doing so converts the trade into a type of “covered call” or “covered put”. 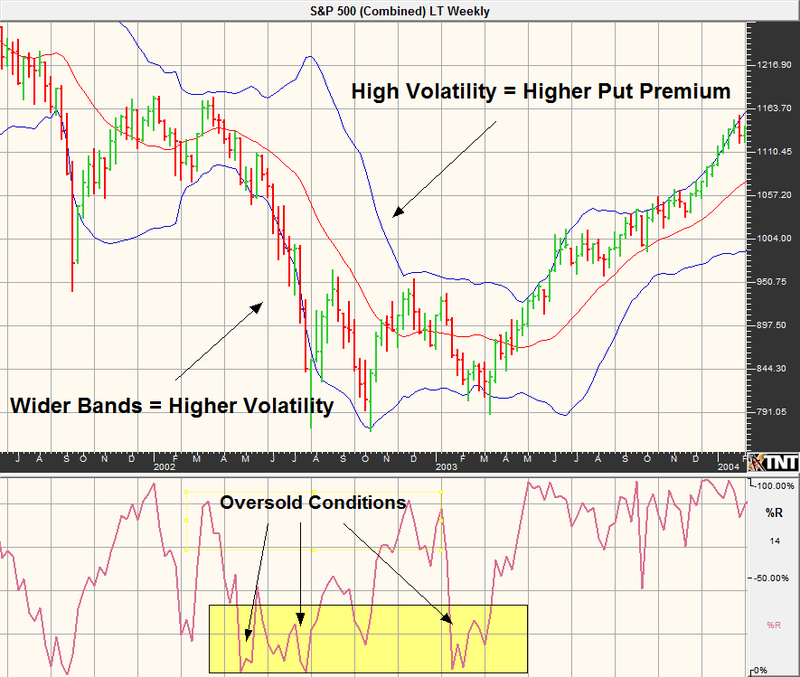 The premium collected from the short option not only produces income, but it provides a hedge against a price reversal. This is because a long futures contract and a short call option benefit when the market moves in the opposite direction (they counter act one another). Likewise, in-line with this strategy you may want to use the proceeds of the covered call or put strategy to purchase an option to protect your risk of an adverse futures price movement. As you can see, well-informed traders have a plethora of strategies to adjust the risk and reward of a futures position. A trading plan couldn't possibly cover all market scenarios, and adjustment possibilities, but writing down a few potential ideas may keep you from freezing in the heat of the moment. If you are interested in exploring the endless possibilities in regard to futures trading management, and strategy creation, please visit our futures and options trading educational video archive. Risk and Reward: Give Yourself a Chance! When deciding how much risk you are willing to take in the commodity markets and setting your profit objectives, you must be realistic. Beginning futures traders are often surprised to hear that many of the best traders struggle to keep their win/loss average above 50%. With these odds in mind, it doesn't make sense to consistently risk more on a trade than you hope to make should you be right. For instance, if your average risk is $500 you should have an average profit target of at least $500. Anything other than this puts the odds greatly in favor of your competition. Because more options than not expire worthless, commodity option sellers often have much better win/loss ratios than futures traders. However, the drawback of an option selling strategy is the reality of accepting theoretically unlimited risk in exchange for limited profit potential. In the game of commodity option selling, winning far more trades than you lose is only the beginning. An option seller must be savvy enough to prevent the small percentage of losing trades from wiping out months of profit. My intention isn't to deter you from selling options, in fact this is the strategy that I prefer and recommend as a commodity broker to my clients. However, those that partake in this practice must be ready and willing to face the consequences during draw-downs. 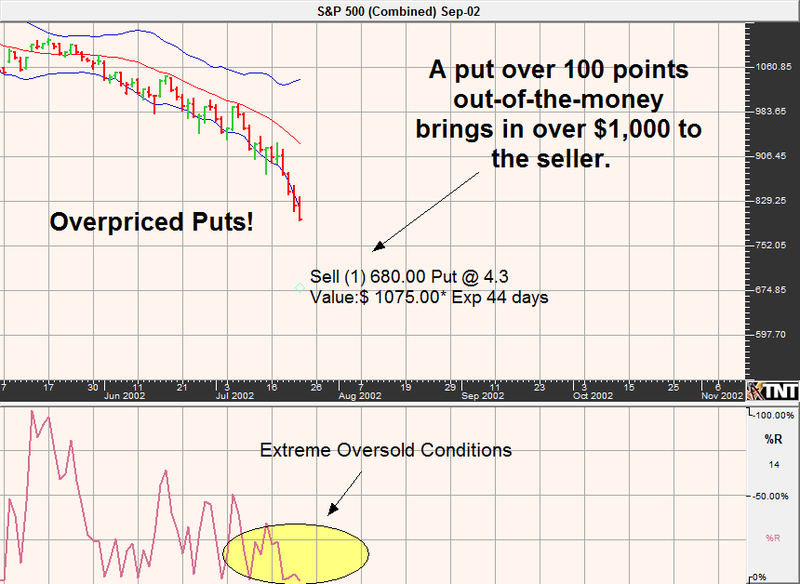 U.S. futures exchanges don’t accept stop loss orders on options. Even if they did, it wouldn’t be in the best interest of traders. This is because it wouldn’t be feasible to place stop orders on most options, or option spreads, due to the nature of the bid/ask spread and the seemingly high probability of being stopped out prematurely. Remember, a stop order becomes a market order as soon as the named stop price becomes part of the bid/ask spread. If the bid/ask spread is wide due to a lack of liquidity, a stop order will be triggered and filled at a dramatically inopportune time and price (unfavorable slippage). Instead of placing stop loss orders, short options should be monitored closely; keeping a "mental" stop in mind is important. I typically advise traders to use a double out rule. This means for every naked short option, whether it is within an option spread strategy or sold individually, you should strongly consider buying it back at a loss if its value doubles from your entry point. In essence, if you sell a crude oil option for .50 cents or $500 ($10 x 50) and following your entry the option doubles in value (appreciates to $1.00 or $1,000) it may be fair to say that you were wrong. At this point, a trader should strongly consider liquidating the position and moving to the next opportunity. Failure to do so may convert a moderate loss into something much more. Unfortunately, in fast moving markets the value of an option sometimes explodes in value very quickly, making the double-out rule impossible to implement. Even so, the double out rule should be part of the overall trading plan. This doesn't necessarily mean it is an exact science; trading is an art and should be treated as such. Imagine being short a put option in a declining market that has reached the designated double out point, but the market is approaching significant support. If you strongly believe that the futures price will hold support, exiting your position at top dollar in panic, doesn't make sense. However, on the flip side; if you find yourself counting on hope rather than rational logic, you have let it go too far. Sometimes the line is difficult to see until it has already been crossed but its times like this that make or break a trader. I believe the ability to properly manage these scenarios come from instinct and experience; it cannot be attained from reading a book or attending a seminar. Many futures trading courses and literature claim that a commodity trader shouldn't risk more than 10% of their trading account on any one trade. This seems to be relatively sound advice but might, or might not, be feasible for everyone. For example, a risk averse trader may not be psychologically equipped to handle such a loss which can easily lead to irrational trading behavior. On the contrary, a well-funded-trading account might be risking a substantial amount of money if risking 10% of the commodity trading account. Most beginners underestimate the value of psychology. Once the balance is broken it is hard to regain logic and can lead to large losses. For example, a trader that opens an account with $10,000 and immediately loses $1,000 on the first trade may dedicate subsequent trades to recovering losses sustained on the original. In other words, they are often tempted enter a market prematurely and aggressively to make up for lost ground. This behavior would demonstrate an example of a trader that simply isn't capable of taking such a large loss without detrimentally impacting the original trading plan. An additional drawback of the 10% rule is the fact that during volatile market conditions, whether trading options or futures and depending on the risk capital available, it may not be possible to construct a trade with reasonable odds of success without surpassing the appropriate percentage. In this case, the market is often best untouched, but as humans we are naturally drawn to that of which we shouldn't. We don't all wear the same shoe size, or have the same hobbies, so why should we all use the same trading strategy and risk management techniques? The truth is that we shouldn't. My perception of what constitutes reasonable timing of entry, and how much money and emotion to risk on a particular trade, is likely far different than yours. Commodity trading is an ambiguous game; there isn't a right or wrong answer to most aspects of speculation. For example, the same trading "ingredients" may work for one person but not for another due to differences in experience, education, risk capital and emotional constraint. Only you will be able to determine what works for you; discovering what that is requires patience, discipline, and an open mind. The most important feedback on your progress will be your commodity account statements. This isn't to say that you should hang up your trading jacket if you experience a drawdown, or even a complete account blow up, but it is important that you are realistic. Some people tend to only remember the good trades and others only remember the bad. Each of these distorted perceptions of reality can have an adverse effect on your commodity trading. Successful traders remember the good trades and the bad trades, but most importantly learn from all of them.